Before the movie was released, I admit that my interest in this movie was nil. 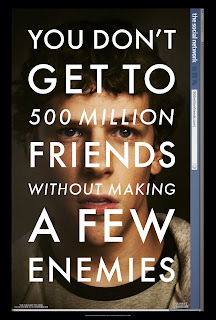 A movie about the creation of Facebook and its associated legal dilemmas just didn't seem compelling. When the trailer was released earlier this summer, the internets raved about the powerful and emotional clip that many praised as a work of art in itself. I didn't quite understand the clamor; I was still nonplussed. If anything, I was intrigued at the collaboration of director David Fincher and scriber Aaron Sorkin. But then it was released, and the reviews were raving, with an outstanding 97% on Rottentomatoes and a 95 critical score on Metacritic. So with my eyebrow raised, I had to see it for myself. Without getting too much into the story, The Social Network follows Facebook founder, Mark Zuckerberg, as he goes through some personal and legal trials in the creation of the ubiquitous Facebook. The movie was interesting in that it didn't follow the conventional three act structure. Instead, we saw a general progression of events, flipping back and forth between the "current" legal drama cases and scenes from the past, depicting the history and inception of Facebook. More than the story itself, which was nothing atypical, what hooked me was the execution of the movie. The script is filled with sharp, fast and witty dialogue as one would come to expect from Aaron Sorkin, who is known for crafting highbrow exchanges. I think Fincher did a great job of crafting this pseudo-univeristy world, where everything looks, seems and feels prestigious. The decision to shoot with a low palette was a stroke of genius, giving the movie this grounded but rich look. All the visual aspects of the movie are complemented by the excellent score by Trent Reznor, who matches the emotional beats of the movie with a cyberpunk kind of flair. The Social Network actors and their real life counterparts. From (L-R): Jesse Eisenberg, Justin Timberlake, Andrew Garfield. Much praise has been aimed at the actors in the movie, particularly Jesse Eisenberg (as Mark Zuckerberg) and Andrew Garfield (as his best friend, Eduardo Saverin). I think Eisenberg does a great job and extends his acting chops, showing us that he's a lot more than what people claim him to be (a Michael Cera clone that is). I'm not seeing it in Garfield as much. He did good in the role, but it grab me as much as Eisenberg. What made me more skeptical was his casting as the next Spider-Man in the upcoming reboot/remake/whatever movie. I think the reason is more with his look than his acting skills. He's a handsome guy that would stand out in a crowd, but I'm not so sure that's who Peter Parker needs to be. We'll see what happens, I'll wait with abated breath. 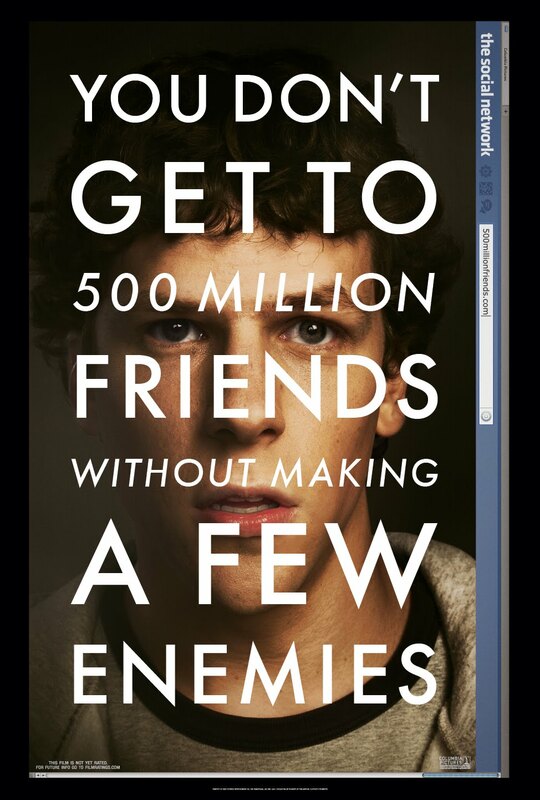 The Social Network is a solid outing and one to check out, even if you're not a big fan or user of Facebook. Til next time, later geeks!